Internet privacy is a hot topic these days as advertisers are looking to make money off every bit of available data. There are increasing concerns over unsolicited tracking done by advertisers and website owners and recent legislation has shone a spotlight on the topic as well. 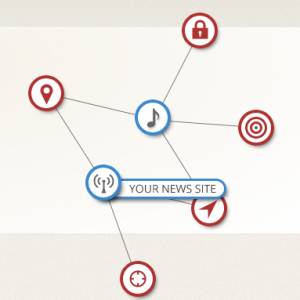 Collusion is a great add-on for Firefox made by Mozilla that shows, in real time, how the data you share creates a spider-web of interaction between companies and other trackers. Mozilla's CEO Gary Kovacs gave a TED talk on this subject earlier this year and it offers a great introduction to the topic and the add-on for interested parties. You can watch it on ted.com for free. If you are a Chrome or Safari user disconnect, a startup that makes simple tools to help users understand and control the data they share on the web, has made plugins of Collusion that work on both those browsers. Download them here. With the recent changes in European legislation requiring disclosure about cookie usage and personal data it probably won't be long before we see some similar legislation on the table in the US. In the meantime educate yourself on how to comply with cookie legislation by getting aware of exactly what's happening behind the scenes in your day to day browsing habits.